Pediatric drug-resistant tuberculosis is both a preventable and curable disease. Every child who dies with drug-resistant tuberculosis is a sentinel for both ongoing transmission and inadequate treatment delivery systems. 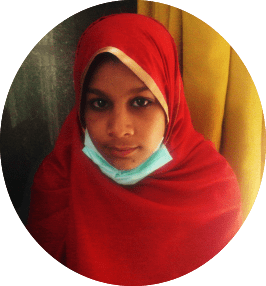 The Sentinel Project on Pediatric Drug-Resistant Tuberculosis is a global partnership of researchers, caregivers, and advocates who share a vision of a world where no child dies from this curable and preventable disease. We are collaborating to raise the visibility of this vulnerable population of children, and to share evidence and resources that can increase children’s access to prompt and effective treatment.